freight carriers give our customers preferential rates and priority service on any route. destination proficiently, seamlessly and on schedule. 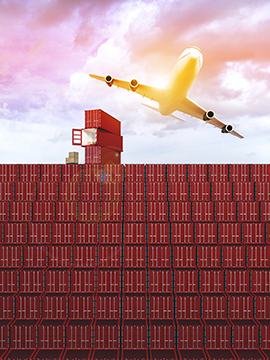 Marine and air freight carry the bulk of the international forwarding business. and destination and give us flexibility to customize the best solution for your specific needs. carriers to ship your commodities safely, efficiently and on time. Applications for market specific import certification that may be required. tailored packages for all forwarding and logistic services. foreign to the transacting parties. involved and a delicate handling of documentation. complex documentary transactions skillfully and discretely. we handle third party shipments regularly, efficiently and to your full satisfaction. Sigmai handles any type of irregular shipments professionally, efficiently and on schedule. entire supply chain form source to destination. and rates and confirms bookings to meet your deadlines.